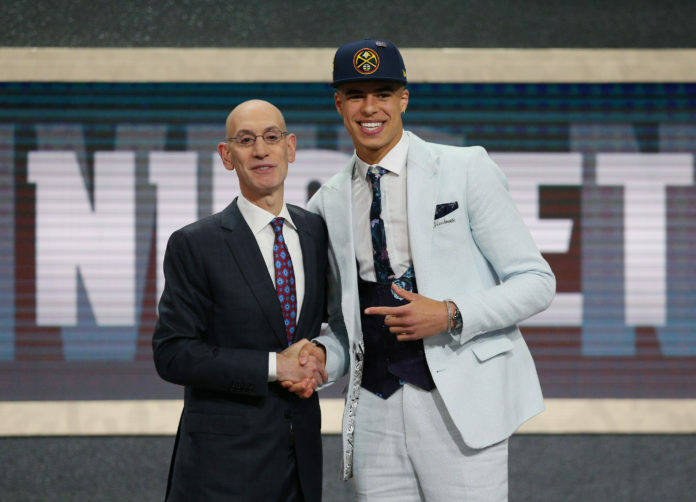 Risk is defined by Merriam-Webster dictionary as, “possibility of loss or injury… someone or something that creates or suggests a hazard.” Both definitions can be applied to both Michael Porter Jr. and Isaiah Thomas. In an offseason full of excitement the Nuggets have traded three veterans and added a number of different players that fit Denver’s new found culture. In Porter and Thomas, they are two players with chips on their shoulders and something to prove next season. Both were afterthoughts to some franchises because of injury, but the ability that Porter and Thomas have on the basketball court was just to good for the Nuggets to pass up. Both players are coming off major injuries, but therein lies why the Nuggets are able to take a chance on both. 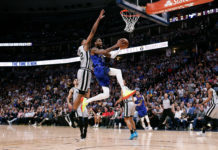 In Porter’s case, the Nuggets don’t need him to play next season, and with Thomas, the Nuggets’ organization gets a player on a one-year deal to prove his worth and health. Both have shown the ability to be dynamic players when healthy and, if both can be 100 percent healthy, or close to it next season, the reward of adding both players undoubtedly outweighs the risks. Just like everything in life there are potential downfalls involved, but when you have a chance to draft a top-three talent and sign a former MVP-caliber backup point guard, you do it in a heartbeat. That’s exactly what Tim Connelly and his staff did this offseason: they didn’t blink, they didn’t flinch, and they took educated risks that hopefully lead the Nuggets to their first playoff berth in five seasons. The Nuggets first offseason addition came when they selected Porter with the 14th pick in the 2018 NBA draft. When Porter fell into their lap, Denver felt he was just too good of a player for the organization to pass on. Even Thomas couldn’t contain his excitement about Porter, and this was a month before Denver had brought Thomas to Denver. There was talk leading up to the 2018 NBA Draft that Porter could go as high as the second overall to the Sacramento Kings. Even going back to last summer, Porter was in the conversation for the first-overall pick. Lucky for the Nuggets, Porter’s lone collegiate season didn’t go as planned being that he played in just three games and ended up sitting out most of the season with a back injury. The biggest risk, and the reason why Porter fell on draft night, has everything to do with his back and health moving forward. Just two minutes into Porter’s first game at Missouri he suffered a back injury that forced him to have a minimally invasive surgery on his L3-L4 vertebrae. The surgery was a called a microdiscectomy and is used to treat herniated discs in the back. SB Nation writer Matt Ellentuck outlined Porter’s injury along with his recovery in an interview with, Dr. Charla Fischer, who is a spine surgeon at NYU Langone Health. One of the questions asked to Dr. Fischer was why Porter looked so poor when he returned to play his final two games at Missouri. Fischer’s response was that Porter’s still wasn’t delivering peak performance just four months after surgery and that we probably won’t see Porter at full strength until his second NBA season. Luckily for the Nuggets, they have time with Porter and his abilities on the court make him a player worth waiting for. It was also reported that Porter underwent a second back surgery last week with the hopes of alleviating his herniated disk problems. Steve Aschburner of NBA.com reported that Porter’s camp believes he will be able to play next season and that their are no plans for him to sit out the 2018-19 season. Even after a second surgery, nothing changes for the Nuggets moving forward as they will have the final say as to whether or not Porter plays next season. Porter’s biggest strength boils down to his ability to be a dynamic scorer and matchup nightmare at the next level. Pairing him with one of the best offenses in the NBA, Porter only adds to the Nuggets already potent offense and projects to be a great fit next to Nikola Jokic. Porter’s greatest offensive strength is his shooting ability, which is something he’s already showcased during his short time with the Nuggets. Yes, he’s shooting uncontested jump shots, but just by looking at Porter’s effortless stroke you can tell just how dynamic that part of his game can be. After transferring to Nathan Hale High School for his senior season, Porter averaged 37 points per game and only had three games where he didn’t score over 30 points throughout a 26-game season. His phenomenal senior season landed him second on ESPN’s top 100 just behind second-overall pick, Marvin Bagley III. Coming out of high school, Porter chose to play at Missouri where he played just three games averaging 10 points and 6.7 rebounds per game. The beauty of drafting Porter at 14 is that there are very rarely rotation players selected with the 14th pick; let alone players with legitimate star potential. Jonathan Givony of ESPN put out a tremendous graphic on players who have been selected with the 14th pick and how their careers turned out. Porter was just the start of a Nuggets offseason that has followed a specific pattern with each move they made. In Porter’s case, he is a player coming off injury with something to prove, which is a pattern the Nuggets followed with their second round pick, Jarred Vanderbilt. Vanderbilt played just 14 games during his lone season at Kentucky after missing the beginning and end of the season with a foot injury. That injury is what eventually led him to slide out of the first round allowing the Nuggets to trade up two spots to select him with the 41st pick. During his one season with the Wildcats, Vanderbilt averaged 7.9 rebounds per game, which is a part of his game the Nuggets absolutely love. Both Porter and Vanderbilt fit into the Nuggets culture as players with something to prove. That same idea carried over to the Nuggets next few offseason additions where they locked up Jokic, Will Barton, and Torrey Craig to long-term contracts. Both Jokic and Barton were second-round picks and players who had to prove themselves in order to earn their long-term deals. Some goes for Craig, who had to gave up everything he had playing overseas in Australia to come back to the United States and pursue a career in the NBA. Craig showcased his abilities last season on a two-way contract and now he’ll be making $4 million over the next two years. In what has been a very fluid offseason for the Nuggets, one of the biggest questions going into the offseason was whose going to be the back up point guard next season? 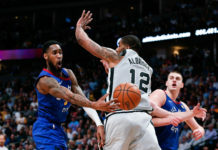 With Devin Harris being an unrestricted free agent, it looked as if the team was heading in the direction of giving Monte Morris the backup point guard role moving forward. Even after performing well in summer league, the Nuggets still made a decision that they needed to add a more veteran option to run the second unit, and Isaiah Thomas was inked to a veteran minimum one-year deal worth just $2 million. In Thomas, the Nuggets get a back up point guard who had an MVP-caliber season just two years ago and can score the basketball at will. After getting traded last summer from the Boston Celtics to the Cleveland Cavaliers, Thomas comes in with something to prove after a rough 2017-18 season. After appearing in just 15 games with the Cavaliers, Thomas averaged 14.7 points per game before being traded to the Los Angeles Lakers at the NBA’s trade deadline. Thomas played just 17 games with the Lakers averging 15.6 points per game before being shut down with another injury to his hip. On March 28th, Thomas underwent successful surgery on his right hip that would require four months of recovery. Going into an offseason with uncertainty, Thomas decided to sign with the Nuggets on a one-year, $2 million deal that reunited him with his former head coach, Michael Malone. Thomas played for Malone in Sacramento during the 2013-2014 season where he had a break out year averaging 20.3 points and 6.3 assists per game. The trust that Thomas and Malone ultimately built during there lone season with the Kings was one of the major selling points in Thomas ultimately signing with the Nuggets. “Me having a real close relationship with coach Malone was probably the biggest key,” Thomas told Christopher Dempsey of Altitude Sports. “And knowing that I wanted to go somewhere where they were going to allow me to be who I am, allow me to play to my strengths and at the same time be around a good group of guys that got the potential to be special. Signing Thomas should also increase the Nuggets postseason chances for a franchise that’s looking for their first playoff berth since the 2012-2013 season. Jamal Murray is still undoubtedly the teams starting point guard going into next season, and by adding Thomas you get that scoring spark off the bench when Jokic, Barton, and Gary Harris are all off the court. A career 18.9 points per game scorer, Thomas provides a scoring punch that the Nuggets desperately needed with Barton sliding into the starting lineup. 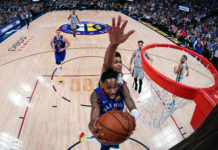 Denver’s second unit was set to feature Monte Morris, Malik Beasley, Torrey Craig, Trey Lyles, and Mason Plumlee, but without a NBA-caliber playmaker, that group might have struggled offensively, but with Thomas at the helm, they should have no problem putting up strong offensive numbers. Thomas is a player who can get a basket at will, which is something the Nuggets second unit has struggled with in the past. Often times the Nuggets bench can lack scoring because they don’t have an alpha dog on the offensive end of the floor or someone who can breakdown a defense on their own to create opportunities for others. Thomas gives Denver that leader on the second unit who can lead the way not just in the regular season, but in the playoffs as well. The addition of Thomas also gives the Nuggets another rotation player with playoff experience. As the team, Denver only has three players with postseason experience in Paul Millsap, Plumlee, and Lyles. Thomas comes in with 25 games of playoff experience and is a career 22.6 points per game scorer in those contests. Don’t forget just 15 months ago Thomas had an unbelievable 53 point performance against the Washington Wizards in the Eastern Conference semifinals. Games like that are what showcases Thomas’ competitive spirit and passion that led him to moments of greatness. The addition of Thomas should do nothing but wonders for the Nuggets bench unit as long as the nine-year NBA veteran can stay healthy for most of the season. Every move the Nuggets made this offseason has followed a pattern based around players who fit the underdog culture cultivated by Malone and the Nuggets front office. Locking up the likes of Jokic, Barton, and Craig will only help keep that chemistry in place in addition to Denver doubling-down by drafting two guys with something to prove in Porter and Vanderbilt, and also adding Thomas in free agency as well. Denver is building a culture where they bet on guys who bet on themselves. Whether Porter or Thomas have solid careers with the Nuggets is still something yet to be seen, but if there’s one thing we know right now it’s that they are both risks worth taking.